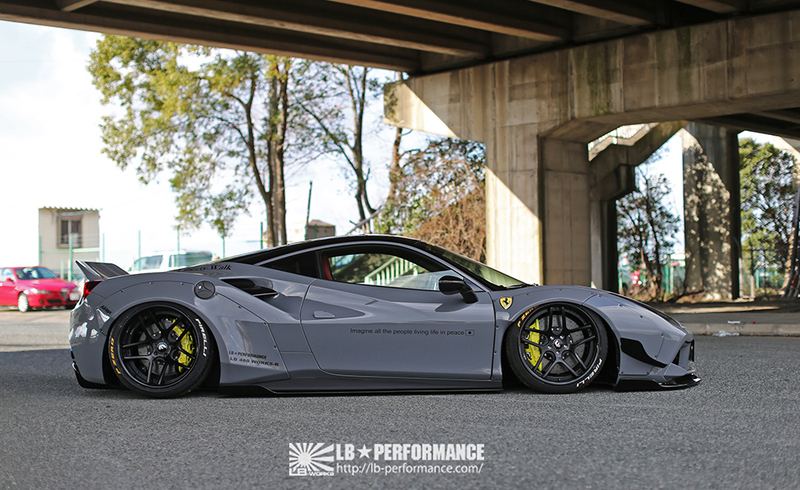 Wow, Ferrari 488 GTB by Liberty Walk! 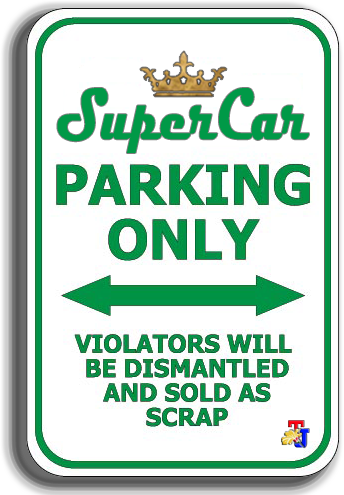 As the SEMA Show in the United States, the Tokyo Auto Salon (TAS) event also showed a lot of extreme modification concepts attracted the world's modifier. 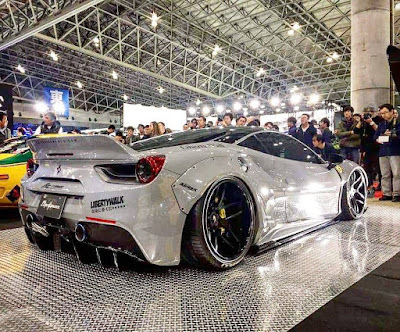 And at this time TAS 2017, with the Ferrari 488 GTB gets a touch of modification of the Liberty Walk. 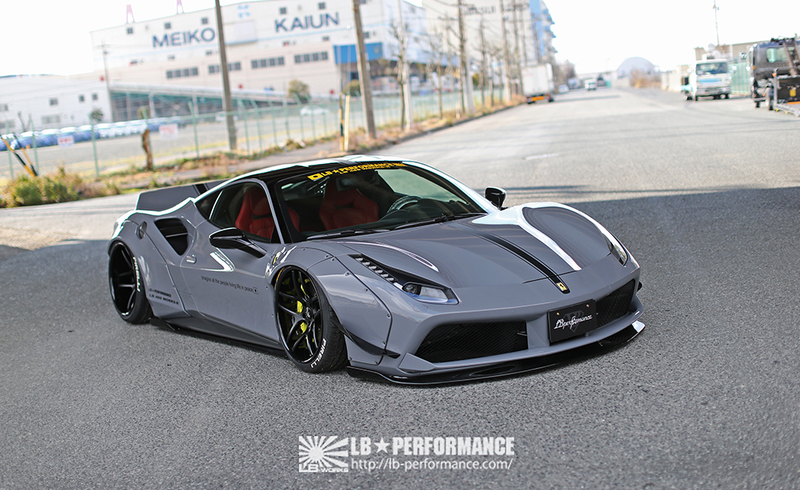 As seen in the photos, the Japanese famous modifiers apply the extreme stance concept on a Ferrari 488 GTB supercar. In addition to the giant over fenders to the rim offset which now get out much, the Ferrari 488 GTB modified by Liberty Walk is also paired bodykit like lip spoiler at the front, the splitter in addition to the massive size of the spoiler on the back. As a result, these mid-engined Ferrari with a wide body kit that looks more proper! Like the other works of Liberty Walk before, these Ferrari 488 GTB that used V8 3.9 liter twin-turbo engine is also so perfect eyegasm for the classy modifiers.